Nate began climbing at an early age in the foothills of Mt Rainier in Washington State. Originally from the Seattle area, his climbing and back country experience ranges from the East to West coast of the U.S. and the Alps in France and Switzerland. Nate teaches climbing courses both indoors and outside focusing on rock climbing, ice climbing and mountaineering. He is an American Mountain Guide Association certified instructor, provider for the AMGA Climbing Wall Instructor (CWI) Certification and Paradox Sports Adaptive Climbing Instructor helping folks with physical disabilities achieve their climbing goals. 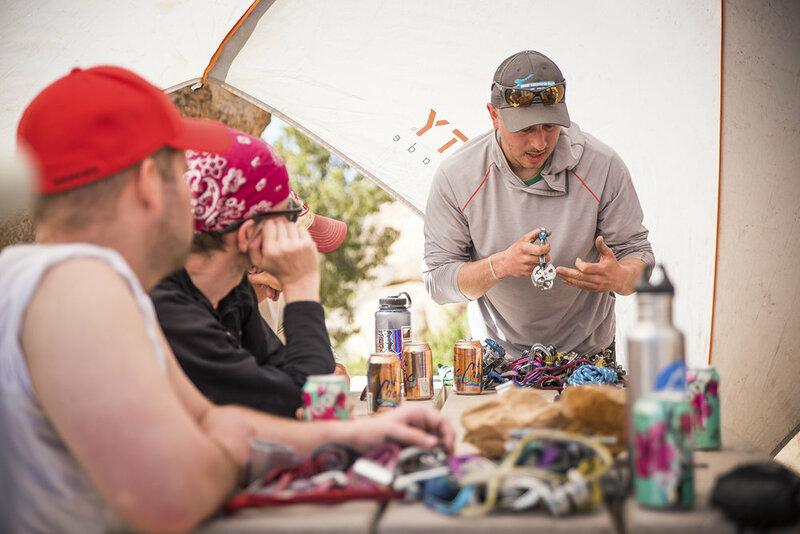 Nate is Climbing Ambassador for Denali & Trailblazer stores and recipient of a Black Diamond scholarship for the AMGA Rock Guide Course (2014). In keeping with our "Adventure for Everyone" mission I believe its important to support local non-profit organizations that use climbing and outdoor adventure to make a difference in our community and in peoples lives. Paradox Sports fosters an individual’s potential and strength, defying the assumption that people with a physical disability can’t lead a life of excellence. We provide inspiration, opportunities and specialized adaptive equipment so that anyone is able to be an active participant in human-powered sports. The Ragged Mtn Foundation works to preserve access to Connecticut's high and wild places. In 2015 the RMF purchased the north end of Ragged Mountain preserving the cliff for future generations of recreational users.